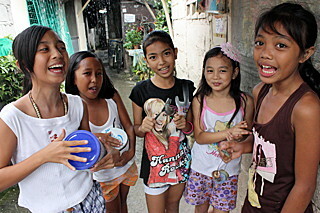 Caroling in the Philippines consists of small groups of children going from house to house chanting traditional Christmas songs using makeshift instruments like tambourines made of "tansans" or aluminum bottle caps strung on a piece of wire, while carolers await expectantly for the homeowners to reward them usually with coins. 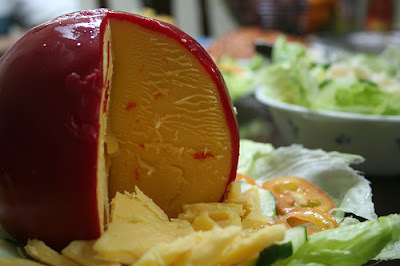 Makeshift tambourine made of "Tansans"
In urban areas, offices organize Christmas parties which are usually held before Christmas Day, or before schools go on holiday. 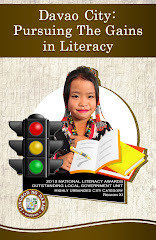 Common activities include Monito/Monita, or Kris Kringle, singing, dancing, and parlor games. 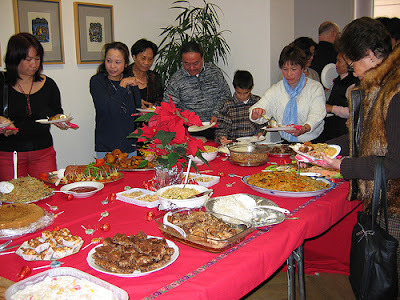 Food is usually potluck - a pool of contributions of food and drinks. 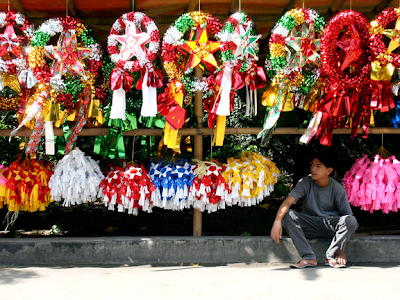 Christmas Day in the Philippines is ushered in by a nine-day dawn and night novena masses called the Misa de Gallo, or "Rooster's Mass" in Spanish, or the Simbang Gabi in Filipino, or "Night Mass" that starts on December 16 and culminates on Christmas Eve, December 24. It is considered the most important Filipino Christmas tradition where Catholic families attend a nine-day novena mass in remembrance of the Nativity of Jesus. The Misa de Gallo traditionally starts as early as three o'clock in the morning but in some parishes nowadays, it is celebrated in the evening. After Mass, families partake of traditional Filipino holiday delicacies sold by vendors outside the church. 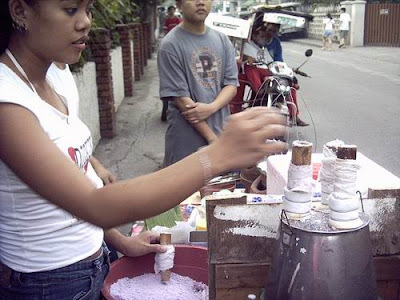 Common to these fares are bibingka - a native rice cake made of flour and egg cooked with coal burners above and under; putò bumbóng - a purple, sticky rice delicacy steamed in bamboo tubes with brown sugar and shredded dried coconut meat as condiments; salabát, a hot ginger tea; and tsokoláte - a hot cocoa drink. Bisperas ng Pasko, or Christmas Eve is celebrated with the Midnight Mass on December 24, and immediately after, the much-awaited Noche Buena – a traditional Filipino Christmas Eve feast where families eat together at exactly 12 o' clock midnight in a spread of queso de bola (Edam Cheese), hamón (Chinese ham), tsokoláte, and fruit salad. Christmas presents and gifts are also exchanged and opened at this time. 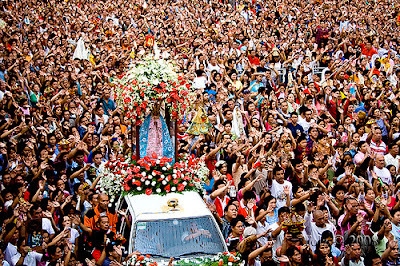 Patterned after the Spanish Las Posadas, the "Panunulúyan", "Pananawágan", or "Pananapátan", is the traditional re-enactment of the journey of Saint Joseph and the pregnant Blessed Virgin Mary in search of lodging. It is very popular in the provinces and is performed in schools usually at nightfall where actors portray Saint Joseph and the Virgin Mary going to pre-designated houses, chanting traditional songs that are meant to rouse the owner of the house, to request for lodging. 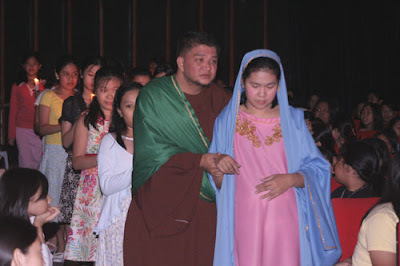 The owner of the house, who is also an actor, in turn cruelly turns away the Holy Family, also chanted in traditional songs, reasoning that the house is already filled with other guests. Finally, Joseph and Mary make their way to the parish church where a replica of the stable awaits the Holy Family. The birth of Jesus is celebrated at 12 midnight in the Misa de Gallo. 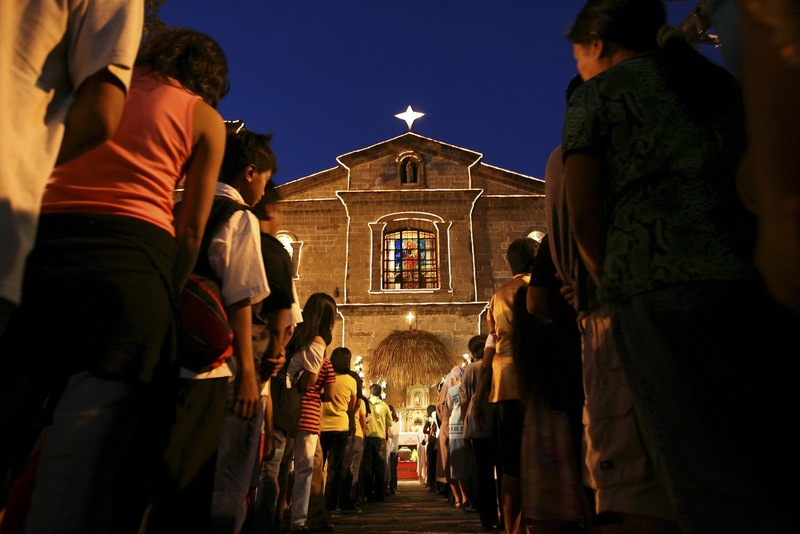 Misa de Aguinaldo is a mass celebrated on Christmas Day, December 25 and attended by the whole family. 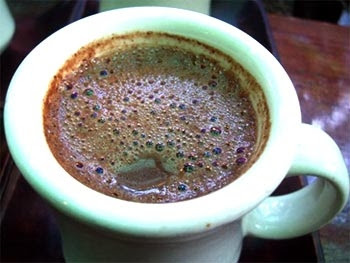 It is usually celebrated between 10 PM and 12 midnight. 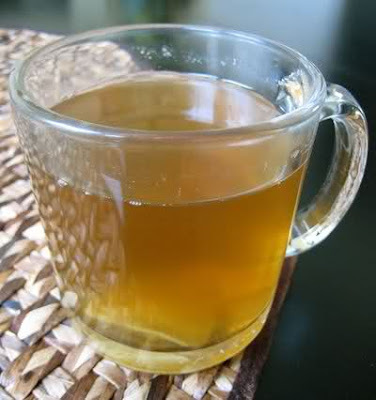 In the morning, Filipino children visit family elders in order to pay their respects called the "Pagmamáno", an age-old custom in the Philippines of giving respect by bringing the elder's hand to one's forehead while saying "Máno Pô". The elder in turn blesses the person who has paid respect. 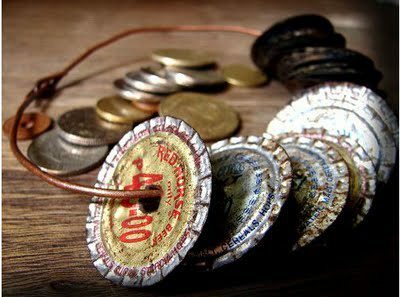 "Aguinaldo", is a gift of family elders to young children in the form of crisp, and fresh-from-the-bank money following the Pagmamano. 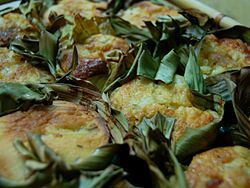 A Christmas Lunch usually follows after the "Aguinaldo" where the whole family gathers in a grand and glorious feast of traditional Filipino delicacies. When the family is settled after the sumptuous lunch, exchange of gifts usually follows. Godparents are expected to give gifts or Aguinaldo to their godchildren. Niños Inocentes is the commemoration of those innocent children massacred by King Herod, who was seeking the death of the newborn Messiah. Known as the Holy Innocents' Day, it is commemorated on December 28. Filipinos celebrate Niños Inocentes by doing sinister pranks to one another where one borrows money without the intention of paying back. Victims are usually helpless in getting remuneration from the offender, and are instead forewarned not to lend money on this day. "Bisperas ng Bagong Taon" or the New Year's Eve celebration on December 31 is a grand feast celebrated by Filipinos where families gather for the much-anticipated "Media Noche" or midnight meal - a feast that symbolizes their hopes for a prosperous New Year. 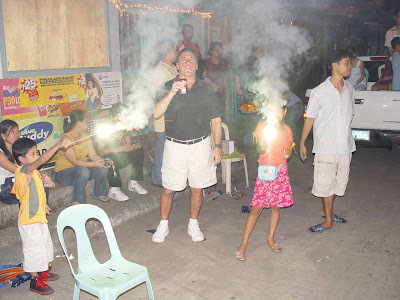 Traditionally, Filipinos meet the coming New Year with loud noises and sounds of merrymaking usually with firecrackers, banging on pots and pans, and blowing of horns which are all believed to cast out malevolent spirits. The jumping of children at the stroke of midnight in the hope that they will grow taller, the displaying of circular fruits and the wearing of clothes with dots and other circular designs to symbolize money and prosperity all through out the new year, the eating of twelve fruits at 12 midnight for good luck in the twelve months of the year, and opening of windows and doors during the first day of the New Year to let the good luck in are just but a few of the many customs and traditions that make the Filipino Christmas celebration fun and exciting! 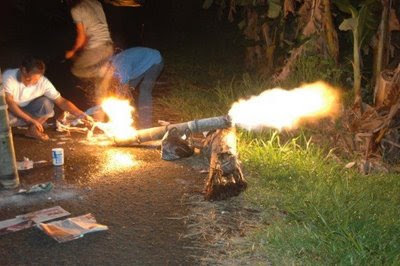 The traditional "Kanyon" is a popular type of home-made Filipino Bamboo firecracker or cannon used in making loud noises during the New Year celebration. It is made up of a large bamboo, usually around 4 to 6 inches in diameter and 4 to 5 feet long, with kerosene used as fuel. A small amount of kerosene is poured into a small hole at the breach of the cannon and a lighting stick is used to ignite the fumes and fire the cannon. Then fresh air is blown into the small hole and the cannon is fired again. However, the explosion may cause severe injury if firing the Kanyon is not handled carefully. Christmas officially ends on Epiphany, commonly known as Three Kings', or "Tres Reyes" in Spanish, or "Tatlóng Harì" in Pilipino. 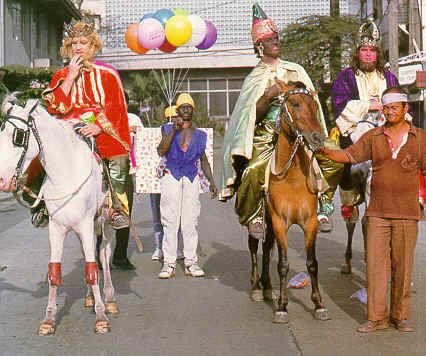 Three Kings was traditionally commemorated on January 6 but is now officially celebrated on the first Sunday after New Year. 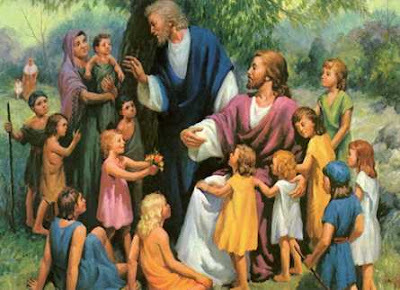 Children on this day would usually leave their shoes outside the house in the hope that the Three Kings would come by and leave behind gifts of candies or money inside their shoes. 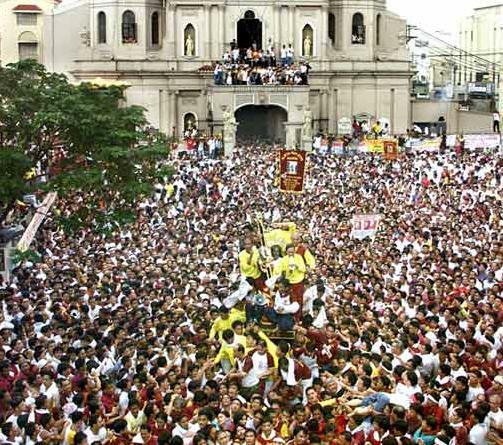 However, in the Philippines, the season ends on the Feast of the Baptism of Jesus, on the second Sunday of January with the processions of the Black Nazarene in Manila and Cagayan de Oro in honour of the Image's 1787 transfer to its present residence in Quiapo Church in Manila. 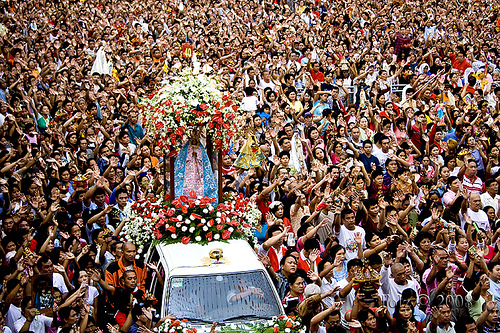 The holiday is often extended to the third Sunday of January to pay homage and give honour to the miraculous Señor Santo Niño de Cebu or Christ Child, the first Christian image brought to the Philippines in 1521 by Ferdinand Magellan as a baptismal present to Datu Humabon and his wife when they and their subjects converted to Christianity. 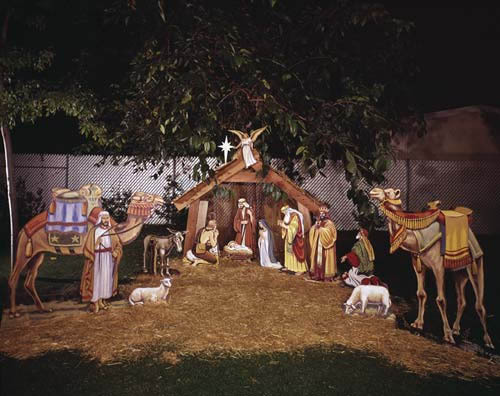 Another traditional Filipino Christmas symbol is the Belen - a "creche" which means "crib" in French depicting the Nativity scene of the infant Jesus Christ in the manger, with the Virgin Mary and St. Joseph, surrounded by the shepherds and their flock, the three Magi, and the angels along with some stable animals. 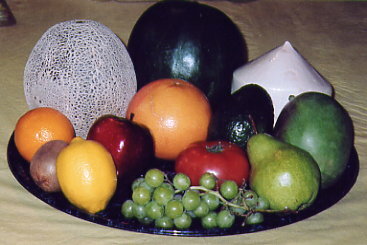 A background of a barn or a manger is commonly used by most people today, but a background of more natural materials such as grass or rocks is also used. The Christmas Tree may have originated in western Germany in the 16th century, but it has somehow found its way into the homes and lives of Filipinos and has been adapted and became part of the tradition in the Philippines. 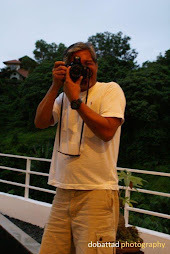 While blogging is much fun despite being laborious at times, I am taking a much needed and long overdue vacation to enjoy the Christmas Season with my family, and at the same time dedicating this special post, "Christmas the Filipino Way," for the entire month of December and will resume blogging come January 2012. May I take the occasion to thank and wish those who have read, visited, left comments, and followed this blog a Blessed Christmas and a Prosperous New Year! 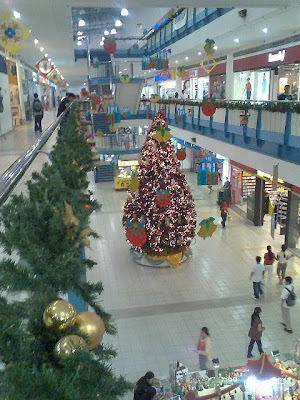 MALIGAYANG PASKO AT MASAGANANG BAGONG TAON SA LAHAT ! 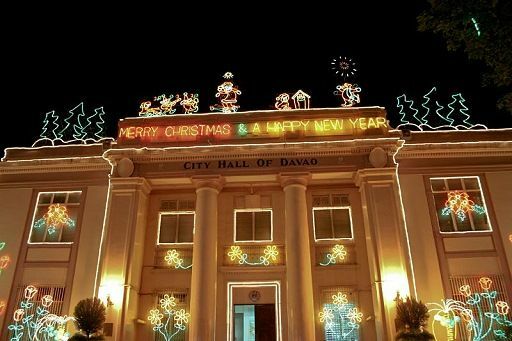 This is such a nice, detailed and informative blog post about Christmas celebration in the Philippines. 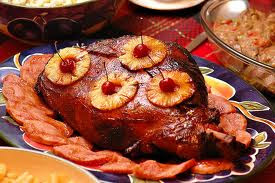 Filipinoes do really have unique way to celebrate Christmas. 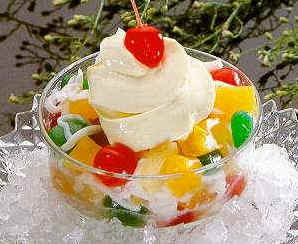 Proud to be Pinoy! Wow! Great post! I enjoy reading your blog. I miss my home town whilst reading your article. Your very resourceful and clever. Have a wonderful time and Best wishes for 2012. Thank you Jean and to Jenny O'Toole for your comments. I wish both of you and your families much success and good health this 2012. The Christmas tree was beautiful love also the place. Such a great scene! Hello, I like your blog. This is a great site and I wanted to post a comment to let you know! The Escarpment Retreat and Day Spa is an internationally awarded rainforest sanctuary on mount tamborine accommodation . Explore our four acres of botanical gardens and lush rainforest, where you will discover a meandering stream and our very own waterfall. where heaven meets earth, with panoramic views from the escarpment across the valleys to the Gold Coast and Pacific Ocean. Hi, escarpment.com.au, I went to check your blog and find it very nice and informative as well. I hope opportunity will bring me to Australia in the future and thereby see The Escarpment Retreat and Day Spa.